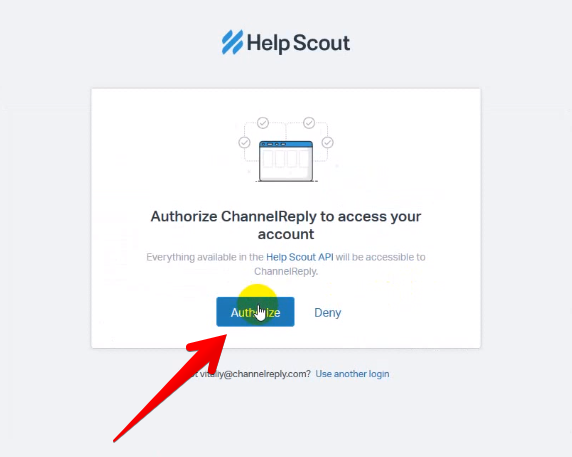 Follow the instructions below to integrate your Help Scout account with ChannelReply. Notes: Click on any image to view it at full resolution. Last updated 1/7/2019. If you don’t have a ChannelReply account yet, now is the time to set one up! Click “Start Free 14-Day Trial” to get started. If you already have an account, click “Sign In” or “Manage”—whichever one you see. Next, sign in to Help Scout or start your free Help Scout trial. 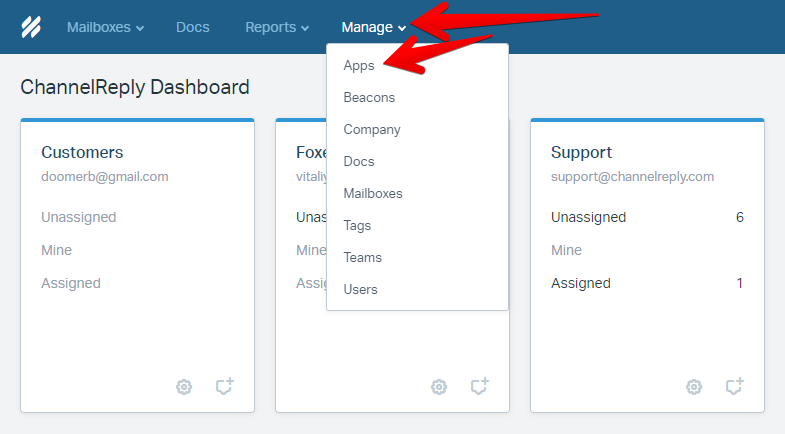 In Help Scout, click “Manage,” then choose “Apps” from the dropdown menu. Select “ChannelReply” from the list of apps. You can use the search bar in the upper right if you don’t see it immediately. 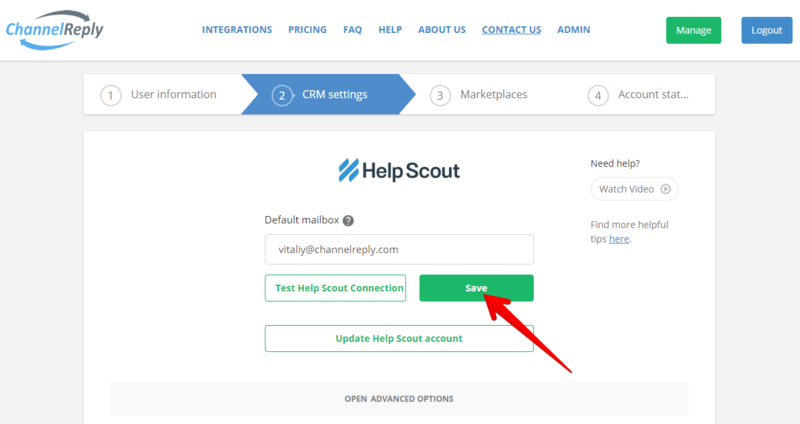 This will take you to the “CRM settings” page in your ChannelReply account. 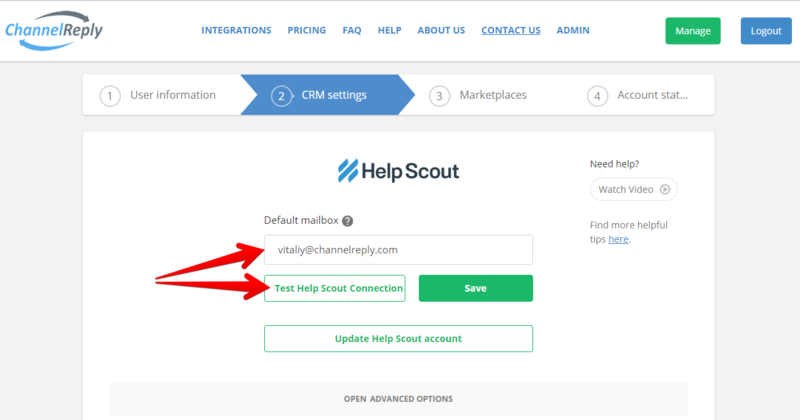 Choose Help Scout from the list of service desk options. 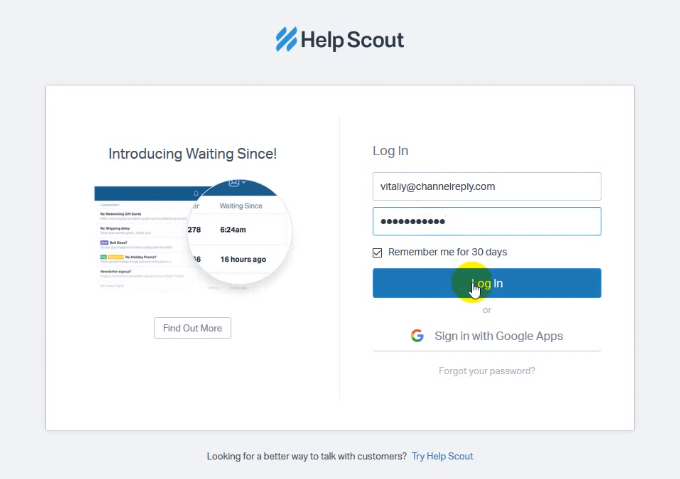 Then log in to Help Scout on the screen that appears next. This will bring you back to ChannelReply. 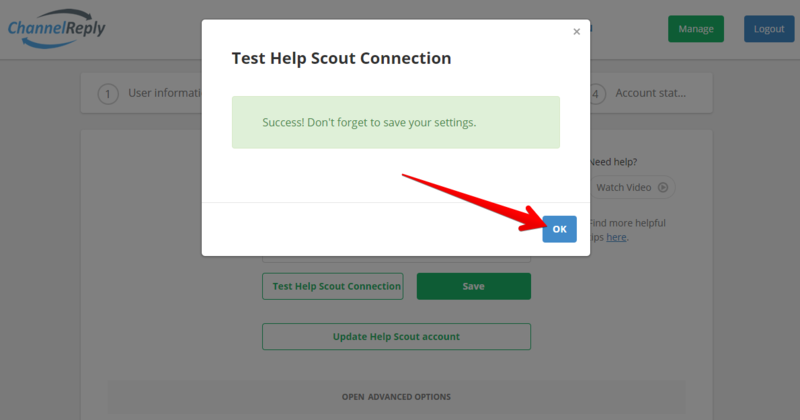 Click “Test Help Scout Connection” once done. You should see a success notification. Click “OK” to continue. If you see an error message instead, follow the instructions provided or contact us. Follow our instructions on Help Scout–eBay integration and/or Help Scout–Amazon integration. Once your marketplace accounts are connected, go to (4) Account Status and click Enable Service. (If you see Disable Service instead, service is already enabled and you don’t have to do anything.) You should then see all green checkmarks and no red Xs. Need help? Have questions? Contact us and we’ll get back to you as soon as possible!